Belfast Giants' four-match winning run in the Elite League came to an end as they were beaten 4-1 at home by Braehead Clan on Tuesday night. After a goalless first period, James Desmarais put Belfast ahead but two Stefan Meyer strikes were followed by another Ben Davies goal for Braehead. A Matt Keith goal with seven minutes left sealed Braehead's win. Belfast have an immediate opportunity to get back to winning ways in Wednesday's home game against Dundee. 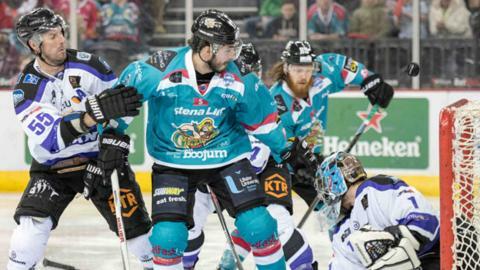 Braehead's victory avenged their 4-3 overtime home defeat by Belfast on Sunday evening. The defeat keeps Belfast fourth in the table, six points behind leaders Cardiff, although they have three games in hand on the Devils. Belfast were without Mark Garside and Darryl Lloyd against Braehead and Jeff Mason could be a fitness date for the Dundee game after picking up a knock late in Tuesday's game.